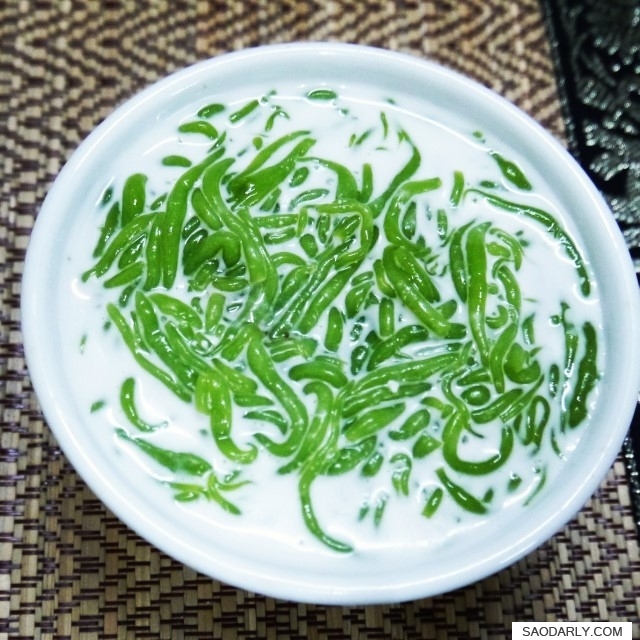 Pandan Noodles with Coconut Milk (Nam Varn Khao Lod Chong ນ້ຳຫວານເຂົ້າລອດຈອງ, ນ້ຳຫວານເຂົ້າລອດຊ່ອງ) for dessert in Vientiane, Laos. My Aunt didn’t make this dessert but bought a few bags of Nam Varn from her favorite dessert stall at Khua Din Market (Talat Khua Din). One small bag is more than enough for one to two persons, depending on the serving size preference. 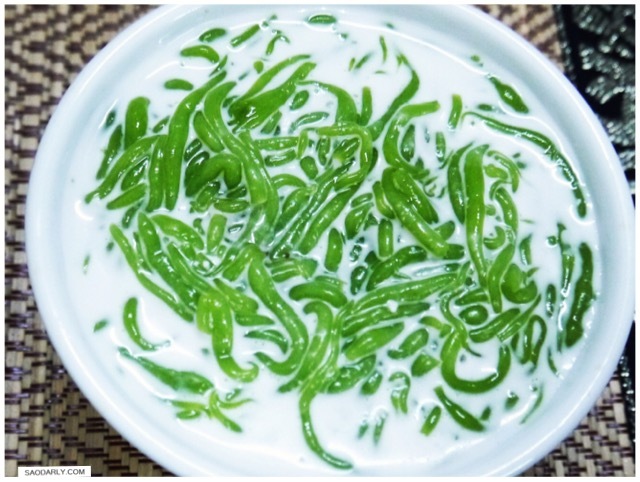 With a little bit of crushed ice, the sweet Pandan Noodles with Coconut Milk is a luscious dessert that could be a full meal on a warm and humid day.